A basic survival guide for new panthers. Congrats, you're gonna be a panther! 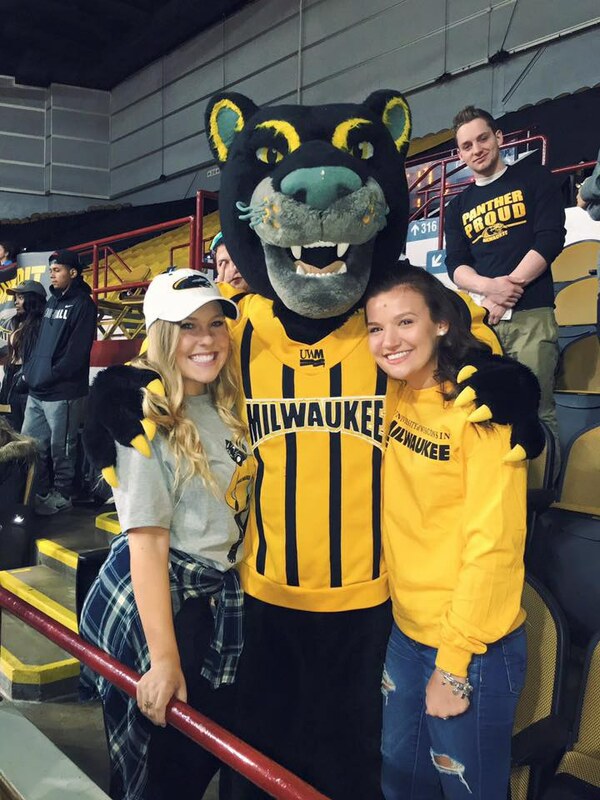 Here are a couple of things you should know about UWM and some personal advice I can give you after surviving (so far) at UWM. Milwaukee is a Division One school and has nearly 27,200 students attending the school. That's a lot of people. There are a lot of important people too, athletes, mathematician, vets, and so many more. 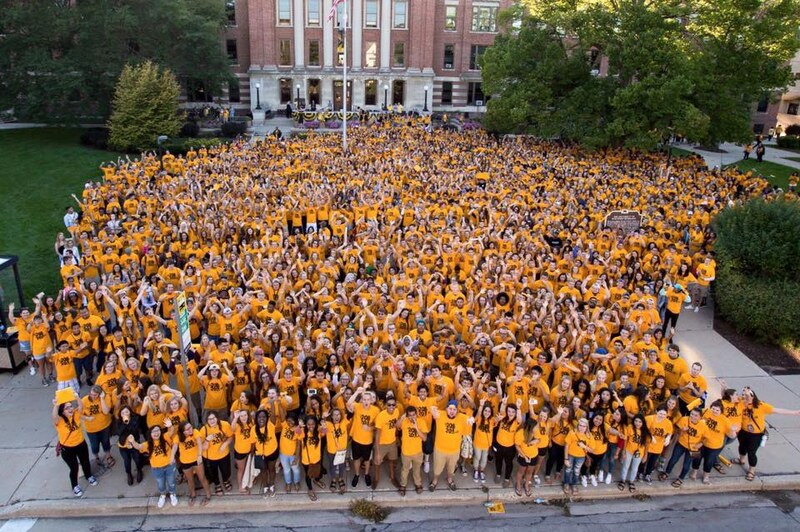 While there are many students attending UWM, let's face it, you won't see them all and that's okay. You're not going to get lost and you're not going to be recognized by everyone you meet, but that's okay. You will meet many people inside and outside of your classes, don't expect everyone to be your friend but be friendly and who you are because classes are a great place to meet people. Milwaukee's class size varies too, there are smaller high school sized classes for entry level courses, this is a great time to show who you really are to your peers your age. Don't be afraid to speak up in big lectures too, this can help you get recognized by a professor who may never know your name. Outside of class, you will meet people too. The people that are meant to be in your college clique will find their way, regardless of how long it takes to find them. 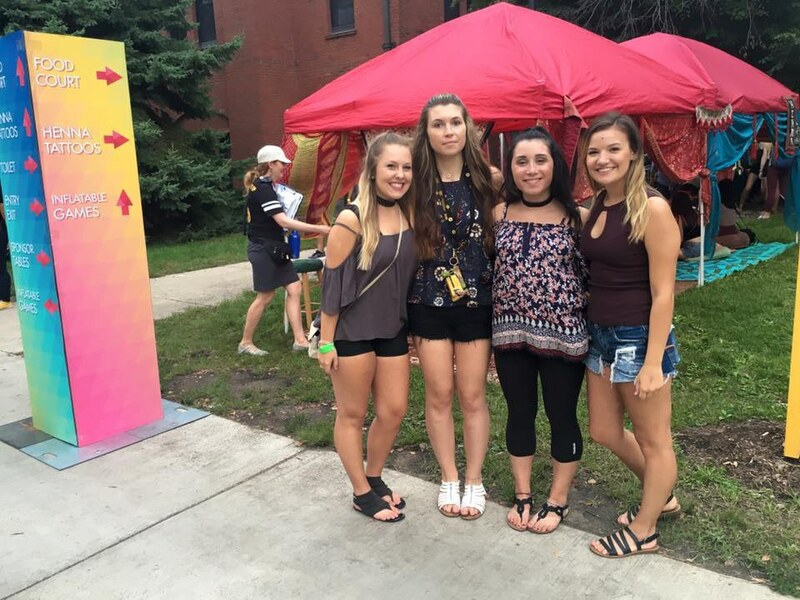 If you chose to live in Sandburg Residence Hall, which is the biggest residence hall Milwaukee offers, you will be surrounded by people. Sure you don't get to pick your suitemates and may have selected a random roommate but that's okay. 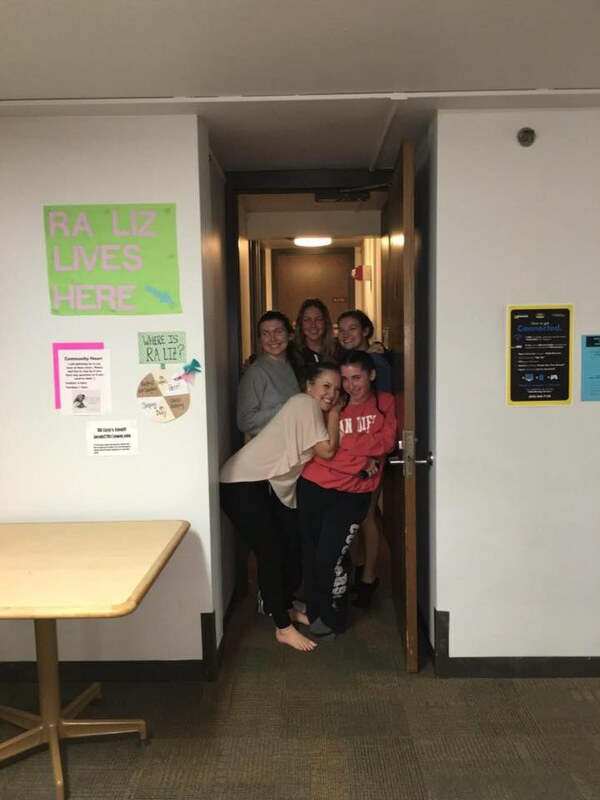 Don't be shy to getting to know your suitemates/ roommates on a more personal level. You will be living with these people and the last thing you want to do is feel uncomfortable around them. If everyone could have it the way I do, they would be happy living with four suitemates who all keep their door open within the suit. This is not a hard position to find yourself in, just introduce yourself to your suit manages on the first day and invite them to go eat with you or attend an event. 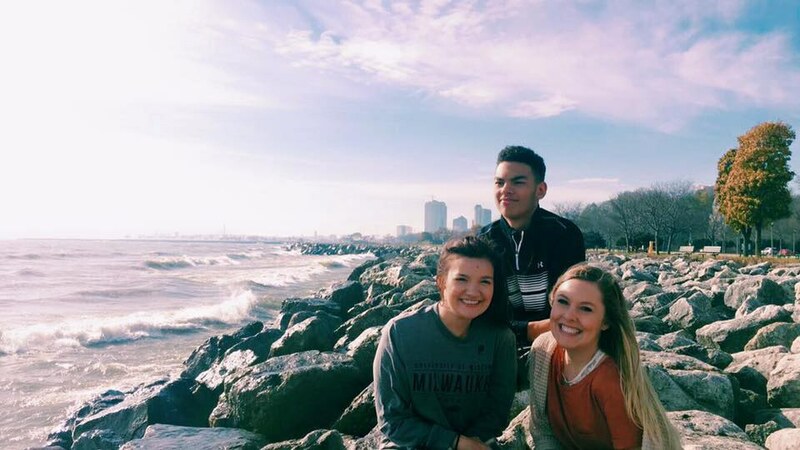 It's hard to find friends right away but you don't have to try that hard when UWM provides four for you to start out with, why not keep them friends for the year? 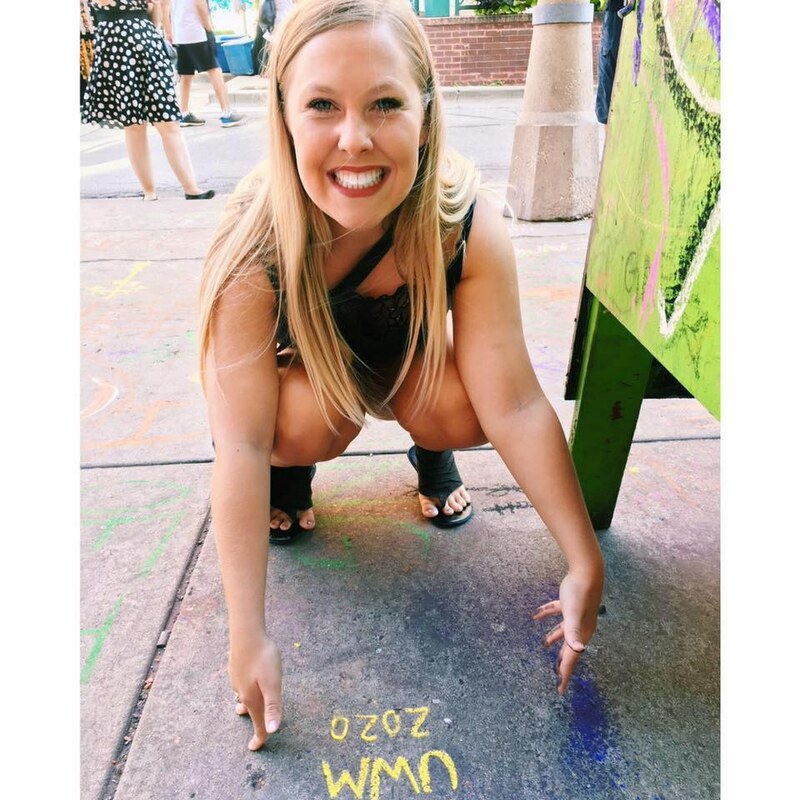 UWM has so much more to offer than just around the campus. For me, I truly decided to attend UWM mostly for its location. Milwaukee is a beautiful city filled with endless places to explore. Whether you're feeling a day at Bradford beach, or a shopping day in the Third Ward, Milwaukee truly has it all. 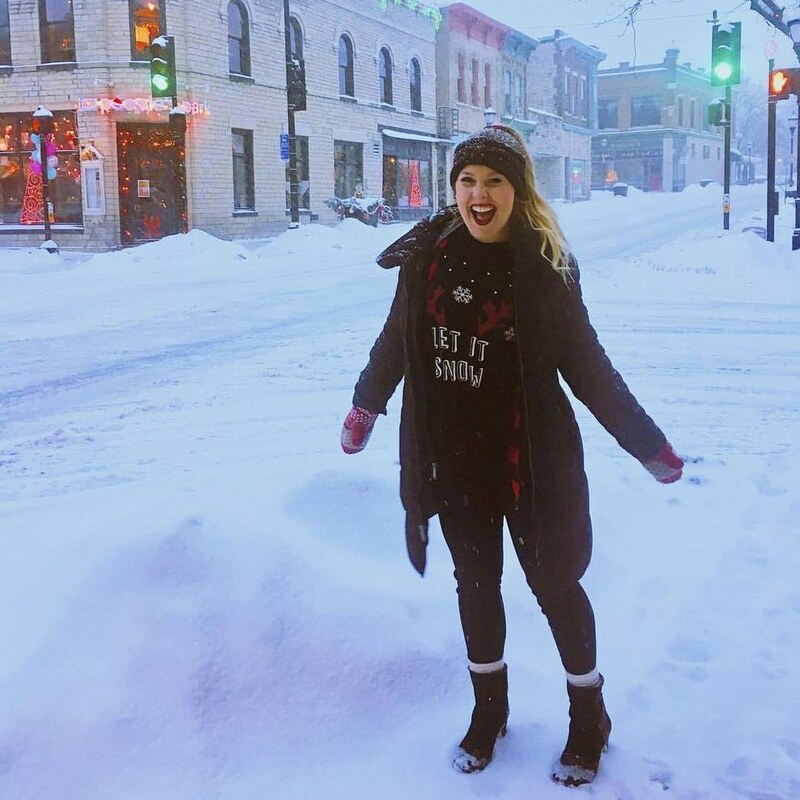 And even when it gets cold in Milwaukee there are still things to do. Throw on a coat and head out to Colectivo Coffee to warm up, this is my favorite place to go around campus, not only to hang out but to study, too. Now, when I say this I am not referring to the Cafeteria food. Sure I get a little extra excited when it's "build your own mac and cheese" or grilled cheese day, but you can only eat enough cheese in Wisconsin every week. I can't even begin to name the number of yummy restaurants there are in Milwaukee, but I'll list some of my favorites: Café Hollander, Water Street Brewery, Water Buffalo, The Wicked Hopp and I mean I love a good Milwaukee Public Market run too when I want something fast. 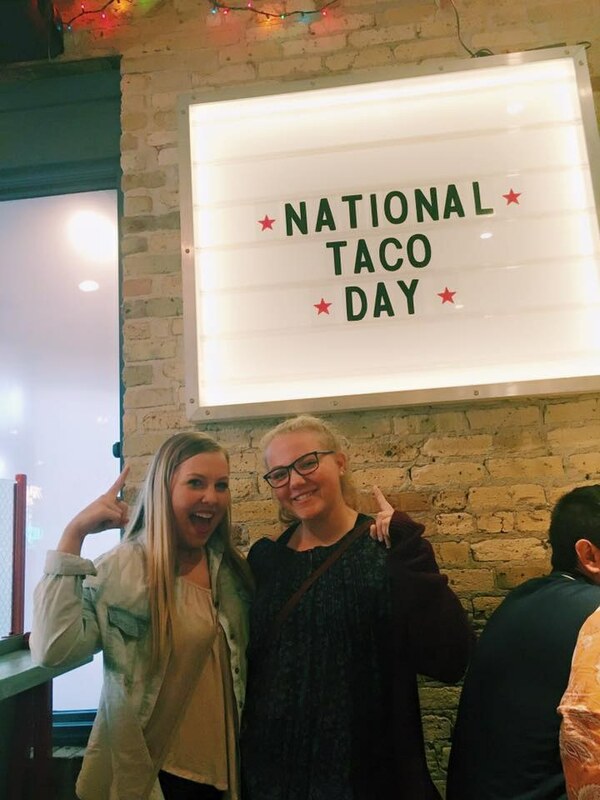 You also can't pass up Belair Cantina's on Tuesday's and Thursday's for $2 tacos. But don't be too tempted by all these places off campus because you will soon go broke like me, so spend your money wisely and remember that you will always have money on your meal plan! But a really really good tip from me to you is to always bring about $10 cash with you if you're going out at night because you never know how many times you'll find yourself at Sal's pizza past 12 a.m., and you will ALWAYS crave their pizza at that time, thank me later! The first week of classes will pass and you will soon get tired of trying to impress the people in your classes and you're gonna wanna wear t-shits and sweatshirts for the rest of your time at college. My personal favorite to wear is my Milwaukee crew neck, I mean seriously, god bless for having Monday/Wednesday and Tuesday/Thursday classes with different people, because then no one can see me wearing it two days in a row. You're gonna find yourself in the Panther shop a lot checking in on all the new Panther gear. The best way to wear this gear is at the games. UWM has Division One sports teams so they need all the cheering they can. Sure, the spirit and the games are nothing like Madison, and we may not have a football team, but that shouldn’t rear you shy to supporting the other sports teams. Okay, nothing can actually make you understand how cold it gets to walk around campus in the winter, but I can tell you to layer up, literally! A walk in the opposite direction of the wind can lead you to frozen tears and chattering teeth. And right when you think the cold will come to an end, approaching Sandburg's door in the cold will hit you even more. This is actually a thing called the Sandburg "wind tunnel" no one knows why but for some reason the wind jumbles up and hits you with a cold front so be prepared with that information and just remember when you feel like dropping out, the winter only last about four months. As a recent high school graduate, I decided to schedule my college classes back to back with only 10-15 minute breaks in between, I had later realized that not all of my classes are in the same building which required some walking. Immediately I panicked because there was no turning back when it came to changing my schedule, however, when I brought up these concerns everyone kinda laughed at me and told me the same thing, “You can get anywhere on campus within ten minutes walking.” From The North West Quad to the Engineering, Math, and Science buildings (Which is a really far walk) but anything is possible on this campus if you just believe. And if worst comes to worst, talk to your professors and tell them you have class on the other side of campus and they will understand, truly the campus is not as big as it seems so don’t you worry freshman. Most colleges require freshman and sophomores to live in the dorms for the first two years, some even require you to live in the dorms for all four years, at UWM this is not the case. Although the dorms are such a “luxury” to live in, most students find a house or apartment to live in the next couple of years, but with this comes paying monthly bills, buying and cooking food and so much more, it’s practically adulting at nineteen years old. Personally, I want to move out of the dorm life ASAP, but I might actually miss it. It’s so simple to say, “Im hungry” and five minutes later have a fully cooked meal in front of you. I can complain about the food quality, let’s be honest, it’s bad, but I can’t complain because I am lazy and know i’m not gonna always want to cook. Sandburg Residence Hall is also so close to everything on campus, that thing I said earlier about walking in the cold, it get’s worse when you move off campus so take advantage of your luxuries because the next couple of years you’ll be on your own and have to vend for yourself. I can speak for all college kids with this one, you’re a high school graduate and you’re finally on your own. This is your chance to make the decisions for yourself and to start your life on your own. You get to do what you want with little guidance or discrimination so make the right choices. You don’t always have to go the easy way out of do what you think others might think is best for you, do what you want to do because after all, this is your life. I can admit, since college I have done things I never thought I would do - and I mean that in all the best ways. I went out of my comfort zone and talked to new people, made friends that aren’t like my high school friends, and got involved in groups I never thought I would. Finding yourself is truely what college is all about, and having a little or a lot of fun along the way is totally okay!